The bus ride from Vilnius to Warsaw on SimpleExpress was definitely not as nice as our bus from Tallinn. Coupled with getting stuck in traffic for an hour, not even the new Game of Thrones episode made it enjoyable. But, we arrived without issue, and settled into a rather nice AirBnB apartment. 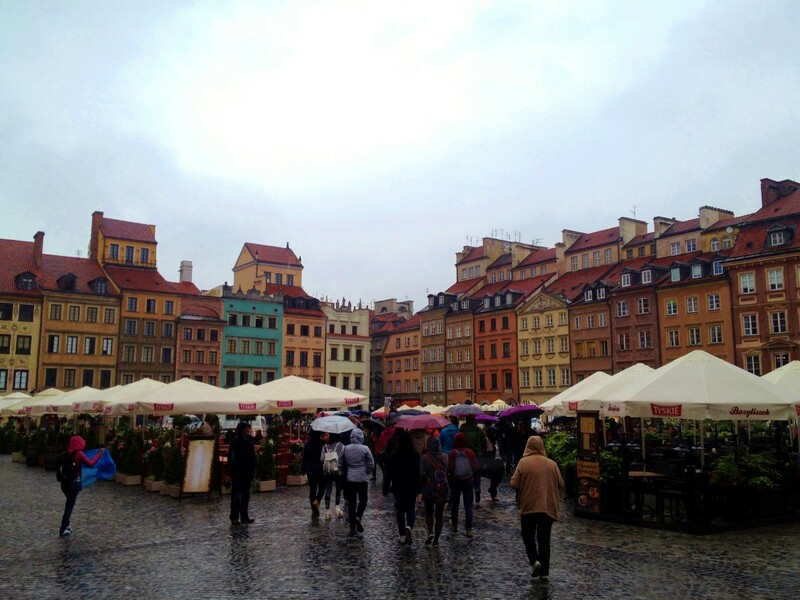 We had actually done some research about what we wanted to do in Warsaw, which were to visit the Warsaw Uprising museum and the Royal Castle. After getting burned by the closed Occupation Museum in Vilnius, we decided to actually look online to make sure it was open. The Warsaw Uprising Museum was closed on Tuesdays (bummer). And the Royal Castle was closed for the next two days for “state meetings”. We were naturally a little upset that our plans had been foiled, so we did some quick research and found there was a “free” walking tour of the Old Town that we could join at noon (we have done several of these around the world and like them – the only cost is what you want to tip the guide). After starting some laundry and eating breakfast, we set out but I soon realized it was too cold (and my pants were still wet from the laundry). 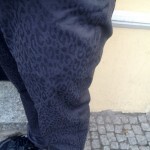 So we dashed over to H&M where I picked up the only clearance pair I could find that fit me – some rather trendy grey pants with cheetah print, which I call my “party pants” (they will make an appearance at any future swanky nightclub and Vegas visits). 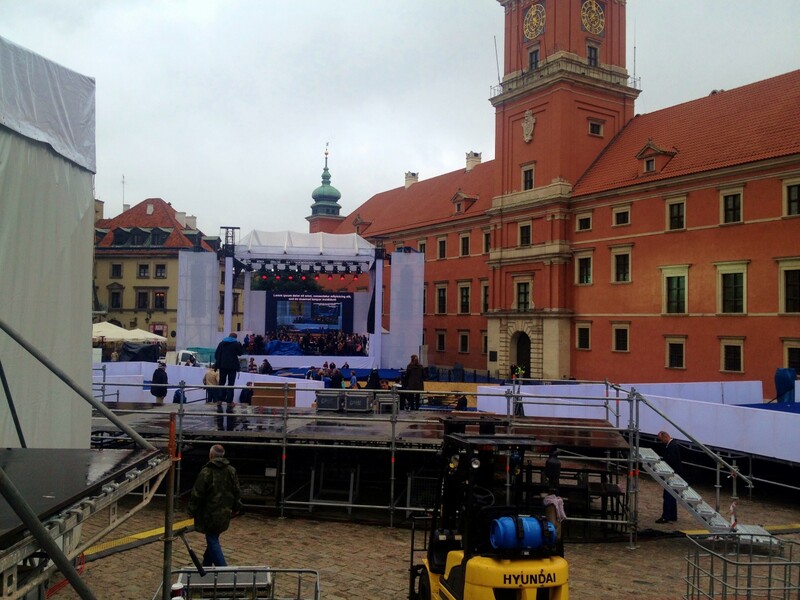 Anyway, so we joined the walking tour, only to notice that the city was heavily decorated in Polish flags and there was a stage set up in front of the Royal Castle. Why? Turns out President Obama was in town! He was meeting with the Polish and Ukrainian presidents as well as giving a speech the following day. The security made the walking tour a bit of a challenge, but we made it. It was most interesting to hear about the Nazi occupation and the Warsaw Uprising, which was a revolt by the Polish people against the Nazi regime in 1944. Ultimately, the uprising was defeated after 3 weeks, and as punishment, Hitler ordered the entirety of Warsaw razed. 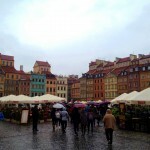 So, even the “Old Town” of Warsaw was made in the 1950s or later. This is why many people prefer Krakow, which was largely unscathed during the war, to Warsaw, which has a much more modern feel. We joined some others from our tour for lunch at a pierogi place, where we ordered the sampler platter of these traditional Polish dumplings. We had nothing better to do in the afternoon so we decided to join the swelling crowd outside the presidential palace waiting for a glimpse of Obama. After about an hour of standing and otherwise jockeying for position against the hordes of Chinese tourists, us and another American who was there as an opera performer, finally got what we came for. It was quite interesting to see how the US Secret Service worked with the local police and military police of Poland. There must have been 100 officers there for protection and crowd control for what amounted to 30 seconds of the presidential limousines driving past. Neither of us had ever seen a US president before in person, so it was really cool once they finally drove out and past us, waving and smiling. 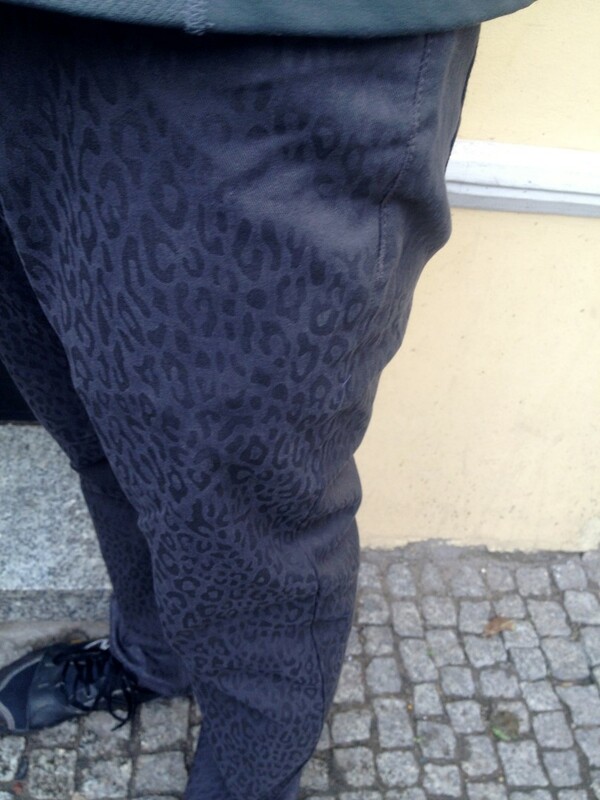 I’m pretty convinced President noticed my party pants, so we renamed them my “Obama pants”. The rest of the day was pretty uneventful, as we went to see a movie (Godzilla 3D) and ate fast food. The only notable thing was that the McDonalds in Warsaw all had self-service kiosks where you could order without waiting in line. We were surprised that in Poland of all places is the first place we saw these, but it was kind of neat. Otherwise, we left early the next morning for our train to Krakow.